Locate the autobahn (A9) from Linz going south to Graz. There is an exit named Spital, this is where you exit. 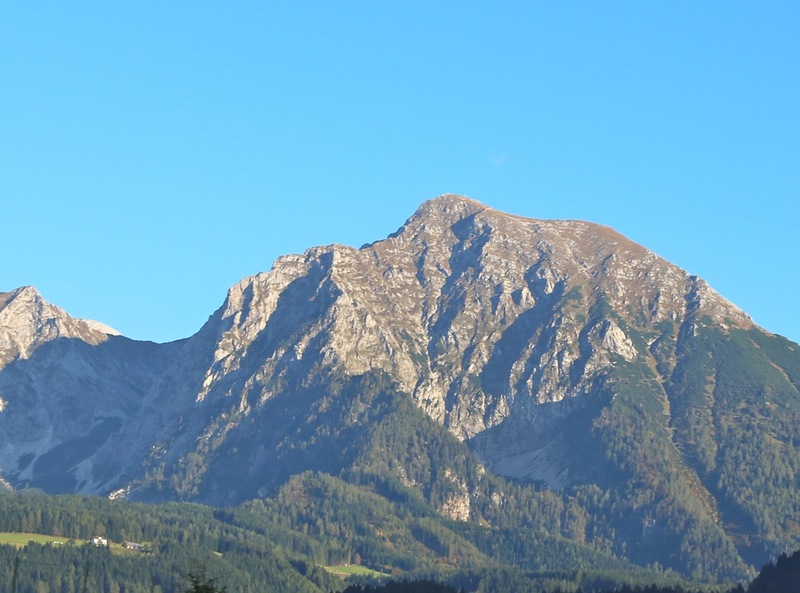 You will see the mountain from the autobahn, up front to the left when driving south. 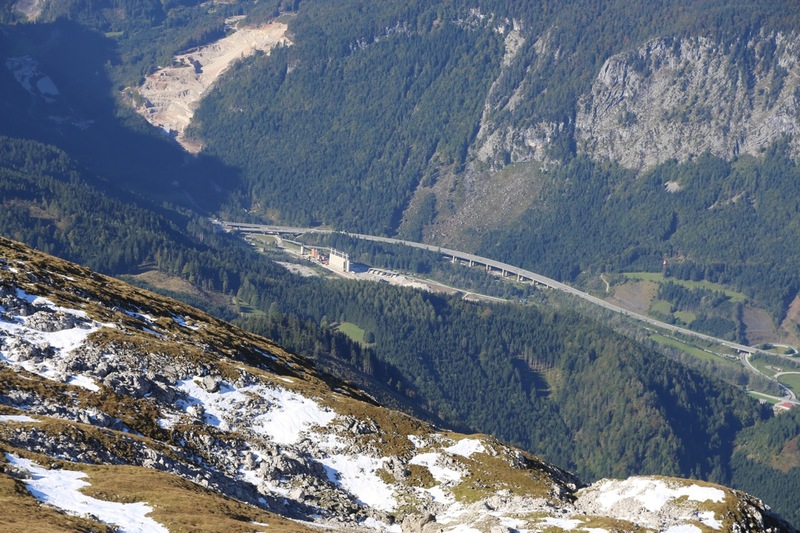 This is just north of the long (toll) tunnel through Pyhrnpass. One may also access this from the south going across Pyhrnpass on Hwy. 138. In Spital, drive along the main through-road and locate a small side-road going east signed for Bosruckhutte. Take this road, it is paved, but narrow. Drive until you locate parking on your right just before a sign telling that the continuation of the road is blocked for public driving. This is just 2 minutes before Bosruckhutte. Park here, location N47.63958, E014.36374, elevation about 1040 meter. This description details a nice round trip, it may easily be done in one day. 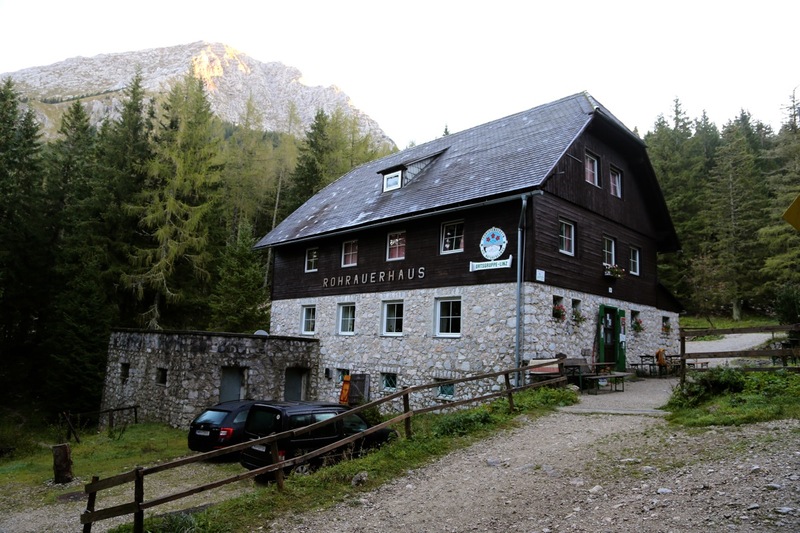 One may also go to the Rohrauerhaus in the afternoon, then complete the climb the next morning. The route up to the Rohrauerhaus is quite easy, start out along the road passing the Bosruckhutte. Follow signs for Rohrauerhaus, the route leaves the road (left) and runs nicely up the valley. 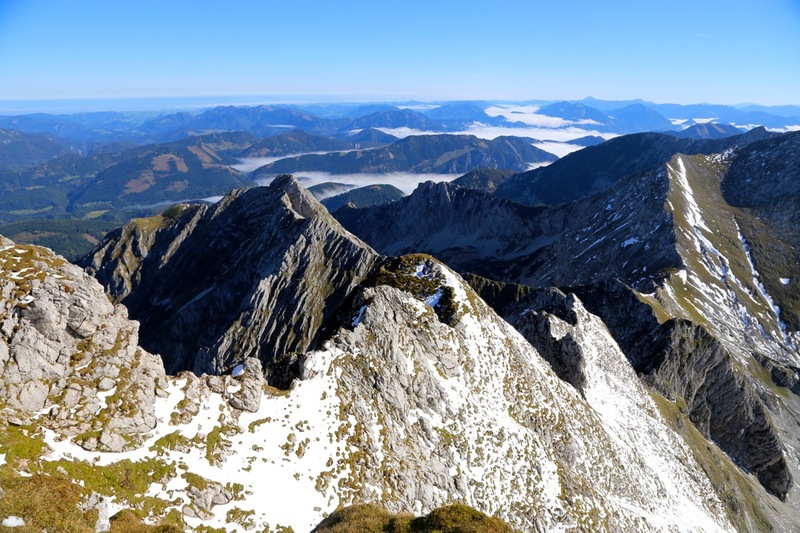 From Rohrauerhaus, the natural route to the summit is the Hofersteig, this is a (YDS) class 2+, possibly easy class 3 climb. One may also climb the descent route described here, it is (YDS) class 2. 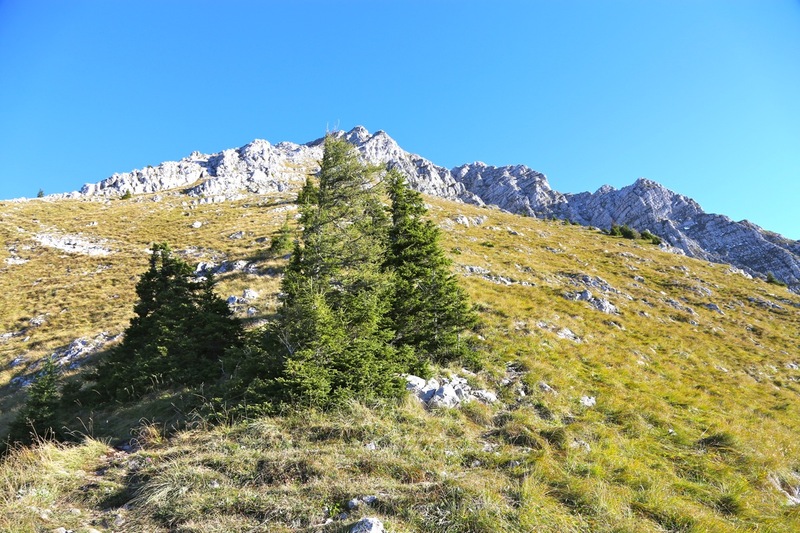 From Rohrauerhaus, follow the signs for Pyhrgas, the trail runs into the forest, then just before a fence, turns left and starts ascending a ridge. 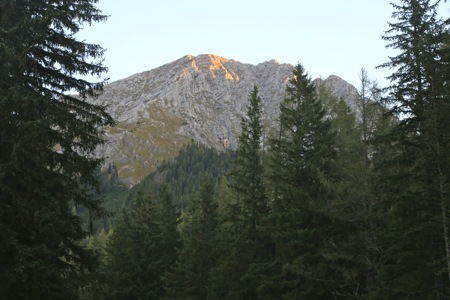 This ridge leads up and into the face of Pyhrgas. The route sort of zig-zags, while more or less traversing the face, then exits onto the ridge where it meets the normal route. 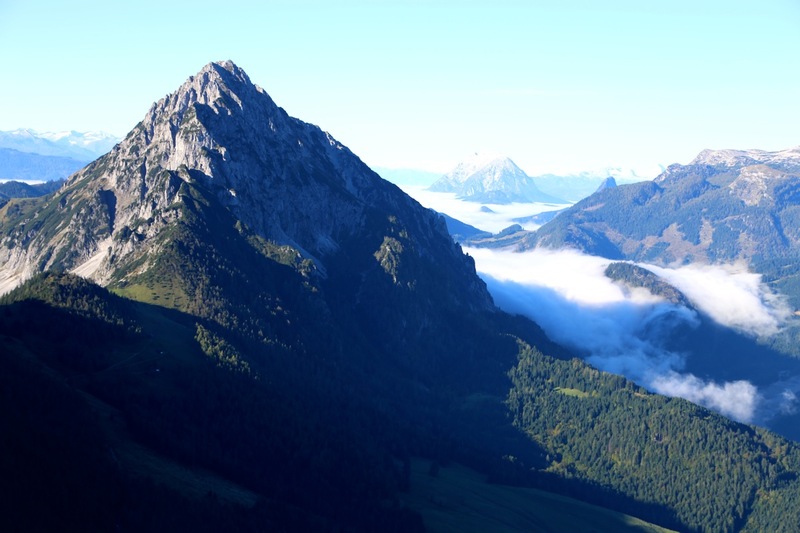 From here, gentle slopes to the summit. The trail ahs a couple of short sections protected by cable, however there are no really difficult spots. The trail runs in generally steep terrain and it therefore earns a class 2+ rating. Descending along the normal route more or less follows the ridge, largely a bit on its right side (when descending) down to a nice, grassy saddle where the trail forks. Go left and descend back into the valley where the Bosruckhutte as well as the Rohrauerhaus are located. Lower down, turn right (there are many signs) and return to the Bosruckhutte and your car. This was a very nice, relatively small hut where I got my own room and a very good evening dinner. After breakfast the next morning, I set out at 0800 and had a very nice, sunny hike up the Hofer Steig. 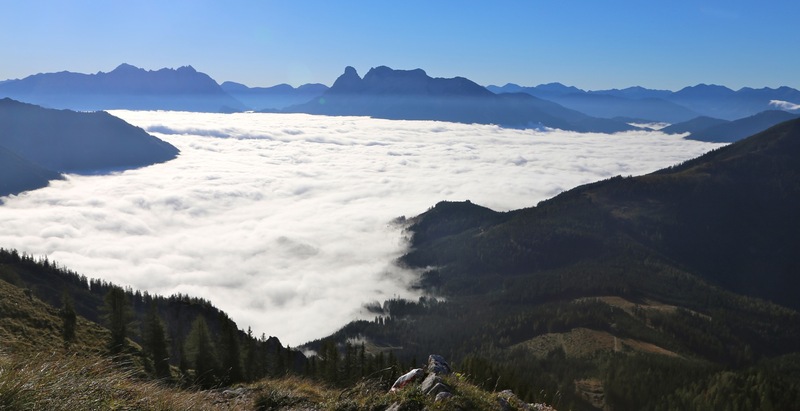 The valleys below were completely filled by fog. The slope above me looked steeper than in a picture. 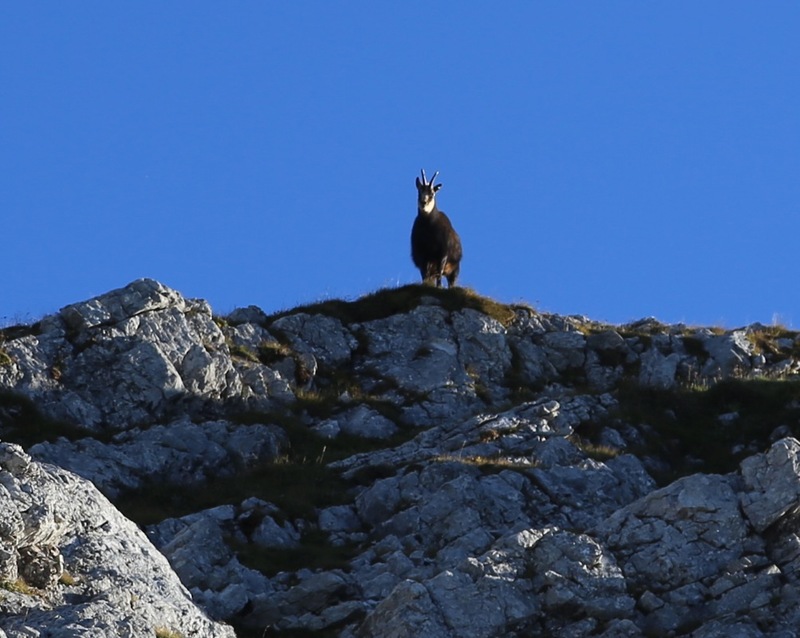 Nobody else around, except a mountain goat that stood proudly against the blue horizon looking down at me, clearly thinking "what is this man doing in my territory?" 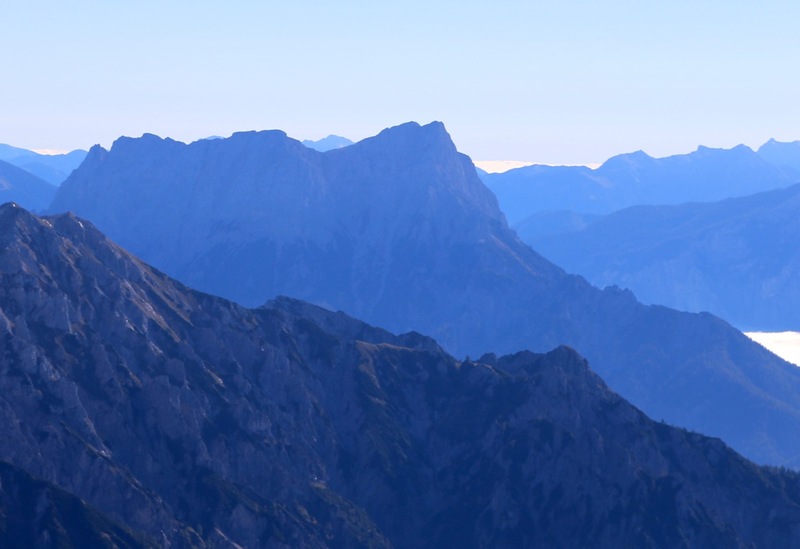 I was at the summit around 1010 and took a long rest, since the scenery all around was well worth a long view. I finally started back down around 1045 and reached my car after 1:20, at 1205. 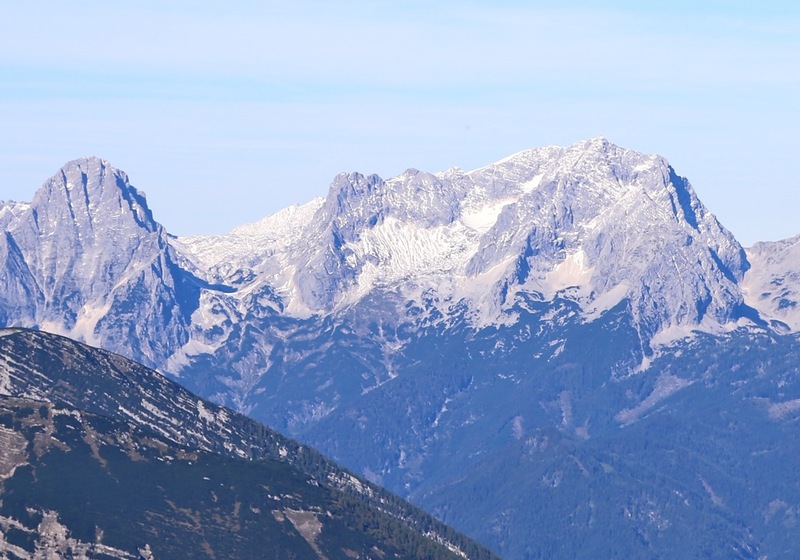 Grosser Buchstein, seen from the summit. 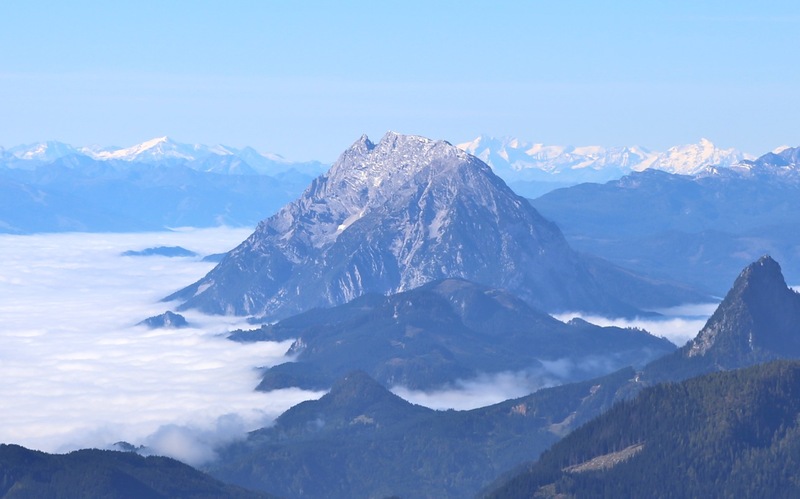 Dachstein, seen from the summit. 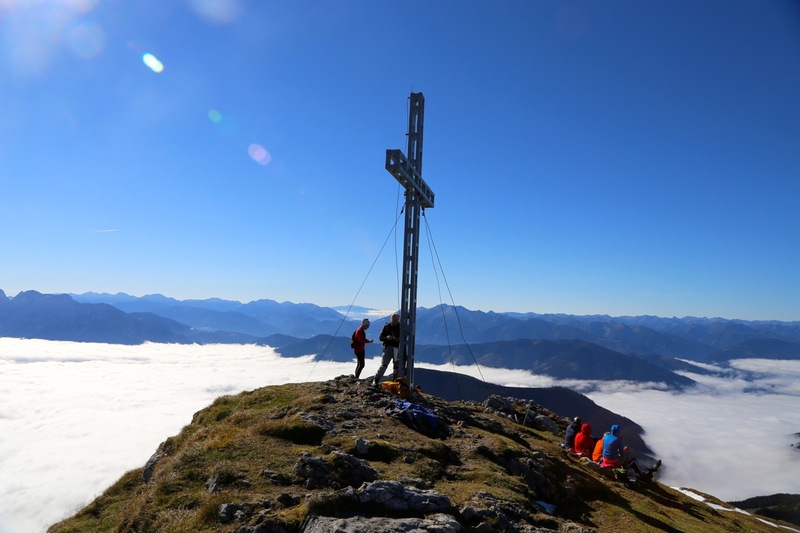 Grosser Priel, seen from the summit. Grimming, seen from the summit.